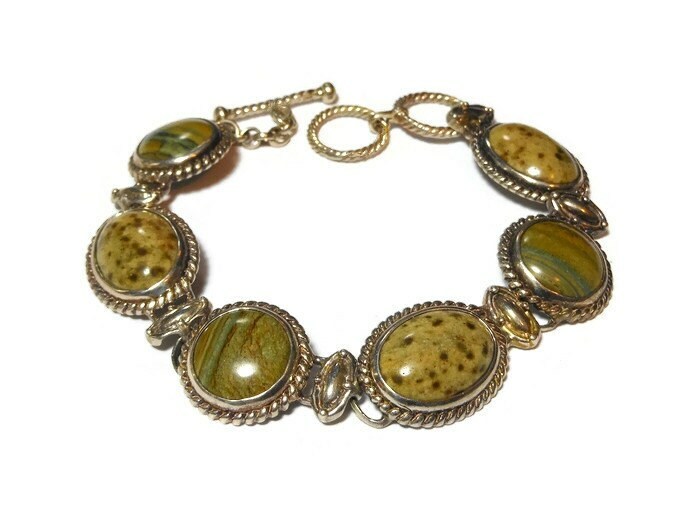 Green stone bracelet, natural stone probably jasper or agate, rope frame striated cabochons alternating with mottled ones via links. 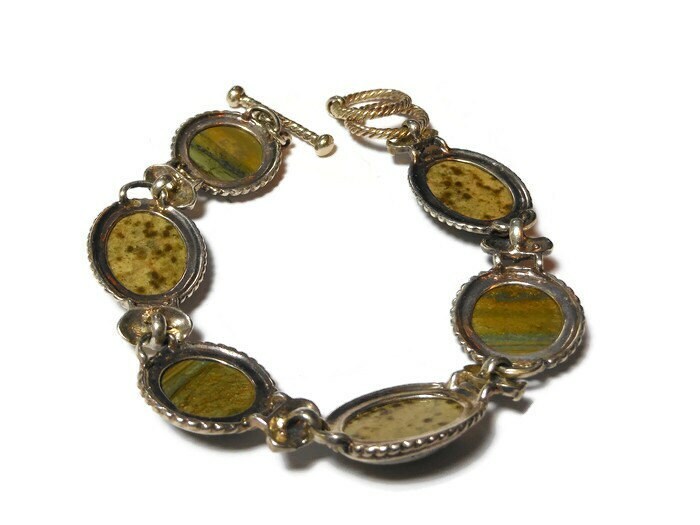 Silver plated decorative stone link bracelet. The length is a little over 8 1/4" (20.9 cm) but it has two circle connectors at the end so you could wear it at 7 1/2" (19.1 cm) and let the other connector as a decorative dangle. Other than one spot of chipping to the plate, it is in very good vintage condition.